Paradigm Senior Living has the honor of managing a beautiful senior living community in Anchorage, Alaska. The Baxter Senior Living motto is “You’re a proud Alaskan. Why should you have to go Outside for a first-class senior living experience.” Opening in early 2019, Baxter will be a community featuring wonderful amenities, facilities and staff. This community will have 63 private assisted living units and 33 private and semi-private memory care units. Baxter is a Last Frontier community with financing secured by Love Funding. You can check out all Baxter Senior Living has to offer at their website. 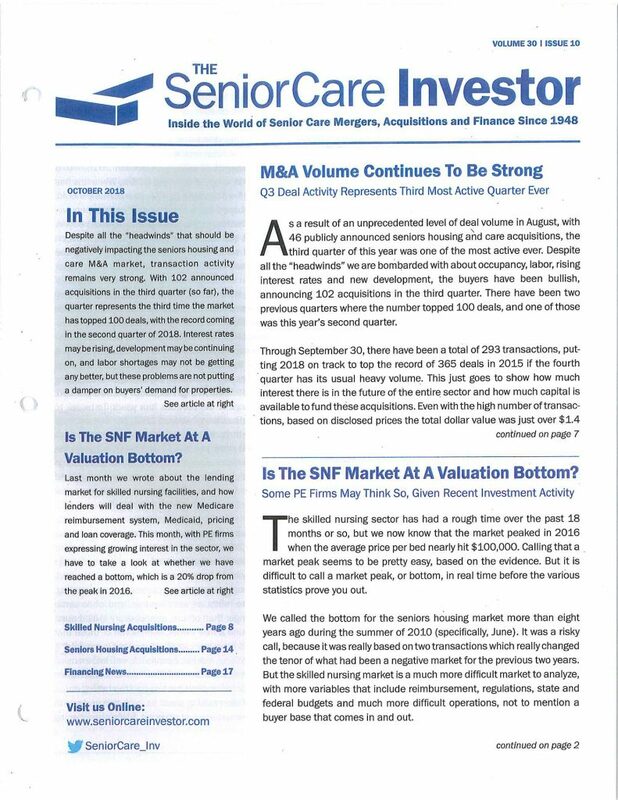 The Senior Care Investor recently featured this property in their publication. 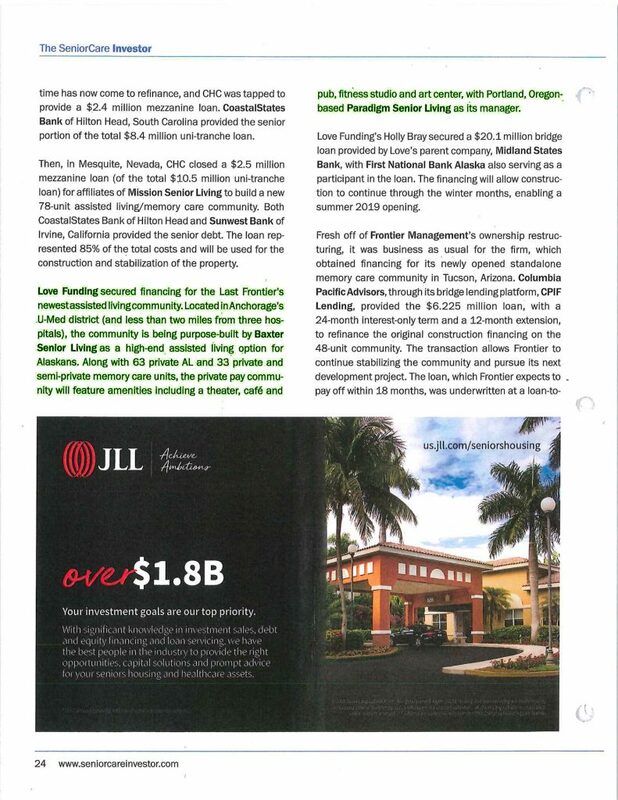 See the publication below.